Live streaming has become not a big deal in the present social media world. Each social platform is ready with its own live streaming service inbuilt. Yet, there is always a better available option for users than to just limit themselves to what the social accounts offer. Periscope app is one such live streaming solution which provides high-quality resolution to go live. Developed by Twitter Inc; Periscope app also allows users to live stream videos and broadcast when required. Now, the hassle exists when users wish to have a PC version of the app. Though there is no official release from the developers, Periscope for PC is available for user convenience. However, people who wish to get Periscope on windows should employ an Android emulator for PC. You actually don’t need to be a tech expert to download periscope for PC. Just get it into your computer by following simple and detail steps we provide you in this article. Before that, check out our List of best lightweight Android emulators for PC. This provides you a bird-eye view on the available android emulators for your PC. As we mentioned above, the team twitter hasn’t paid interest in developing the periscope PC version. However, you can get the same mobile app like experience while using the periscope PC live. Discussing the periscope app, it has proved to be a decent and user-friendly platform to live stream videos. The only downside of the app is it failed to support a few devices earlier. However, there is no such hassle when you use periscope on computer. Even the Interface is so user-friendly and easy to navigate and access the available options. Users need to have a twitter account to use the periscope app. When you stream a video, a notification appears to your followers and also you have privacy options. 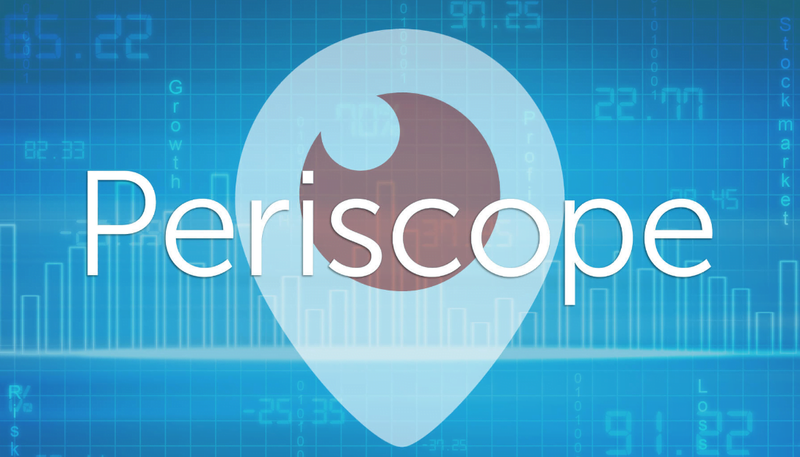 Here we explain you to download periscope app using the bluestacks Android emulator. However, you have many other emulator options to get it on your Windows PC. The process is the same for Mac OS users as well, the only difference is Mac users need to find Mac emulators. Download Bluestacks Android emulator on your PC or laptop. The software is available for free download. Install the software on your PC and run Blustacks android emulator. Now, Open Google play store and search for Periscope app from the search bar. As soon as you complete the installation process, launch the app. You’re done, sign in and start using the app. The live streaming app is available for all Twitter users to help connect with their followers. Essentially, this periscope on PC is another alternative for users to reach a number of people. Never the less, it is a trusted way to get the twitter based app for laptop or desktop. Now, enjoy the perks of having periscope icon on PC and avail the features to stay connected with your twitter followers.